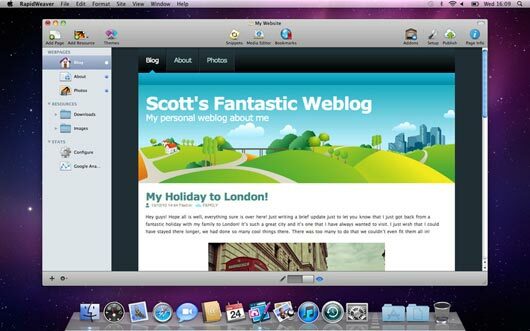 OS X Lion is the next major release of OS X, the world’s most advanced desktop operating system. 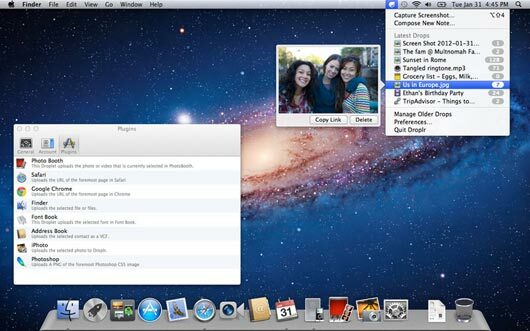 It includes over 250 new features that will transform how you interact with your Mac. Tap, swipe, and scroll your way through your apps using fluid Multi-Touch gestures that make everything you do feel more natural and direct. Full-screen apps take advantage of every pixel of your display — perfect for reading email, surfing the web, or browsing photos. Launchpad gives you instant access to all the apps on your Mac in a stunning new layout where you can quickly find any app and open it with a single click. 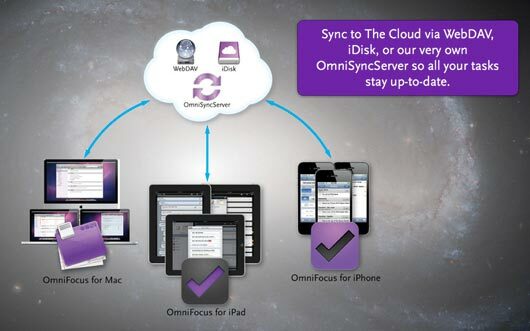 And Mission Control brings together Exposé, full-screen apps, Dashboard, and Spaces in one unified experience. 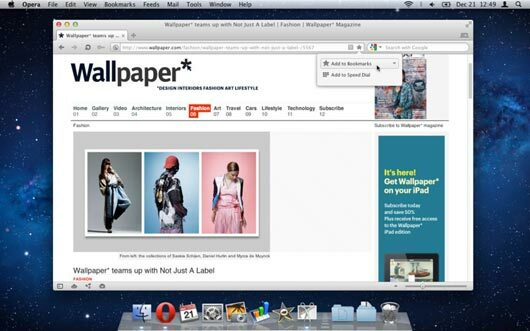 With a gesture, your desktop zooms out, displaying a bird’s-eye view of everything running on your Mac and making it easy to navigate anywhere with a click. 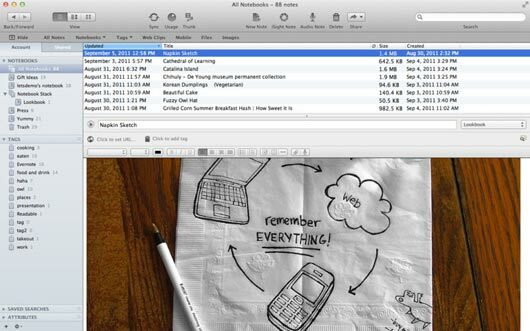 Evernote helps millions worldwide remember anything and everything that happens in their lives. Use Evernote to take notes, save interesting web pages, create to-dos and shopping lists, attach images and PDFs, and so much more. Then, watch as it all instantly synchronizes from your Mac to your smartphone, tablet and the Web, allowing you to find your memories at any time from anywhere. 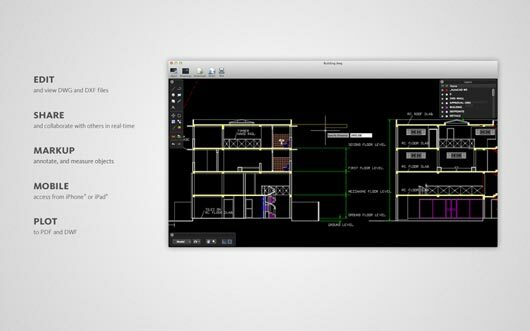 Screen capture, crop, resize, sketch then share… Fast. 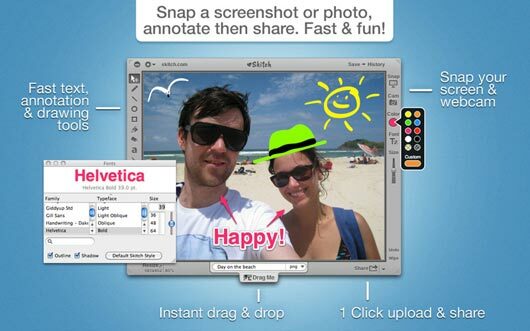 With the free built-in skitch.com image hosting, Skitch is the fastest and easiest way to share your work and your life. Make your web browsing faster. Everything from loading webpages to opening tabs is optimized to happen almost instantly. You can even speed up browsing on slow connections, with Opera Turbo. Reduce your exposure to threats on the Web. Industry-leading security and features such as Fraud and Malware Protection and a security bar, ensure your safety. Droplr is the easiest way to share images, documents, files & links. It is very easy to change the speaking rate, or to start, stop and select different voice. 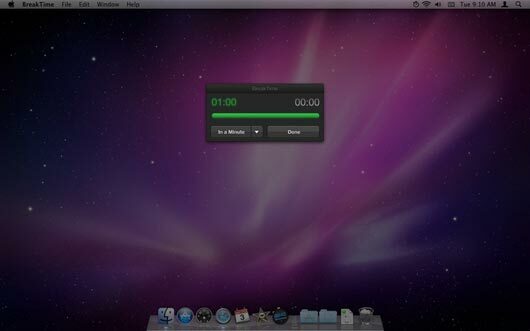 When you run OS X 10.7 Lion you will be able to download additional voices from Apple for free. go to System Preferences -> Speech -> Text to Speech -> System Voice -> Customize… then choose additional voices to download (click ‘OK’ button). Once the download has completed relaunch Text2Speech to use the new voices. 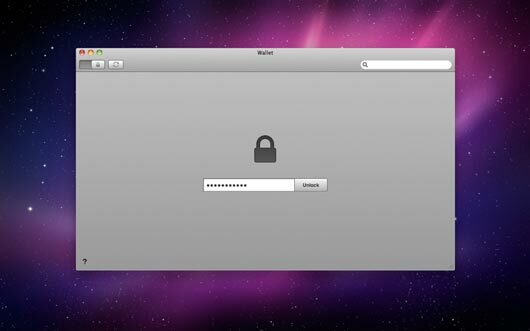 1Password is your password and identity companion. It leaps past simple password storage because 1Password works directly with your browser, saves your user names and passwords, and effortlessly creates strong, unique passwords for each site. 1Password can then automatically and securely log you in, enter credit card information, and fill registration forms, all while encrypting your information with the one password you need to remember . 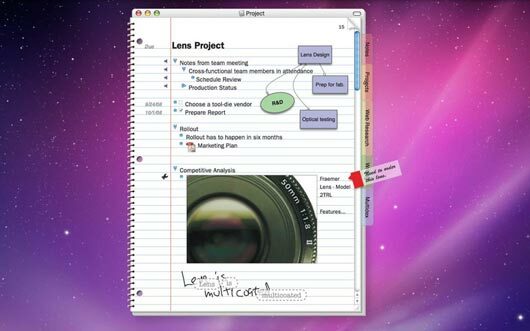 To-do Lists provides simple but powerful interface for tasks and to-dos management. 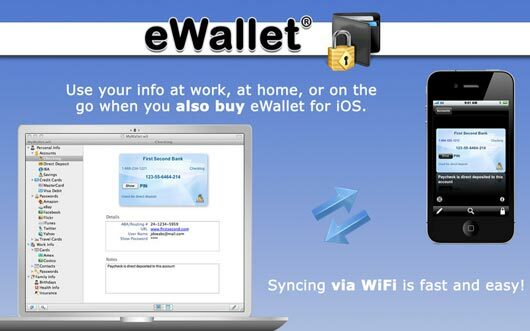 eWallet, from Ilium Software, has been trusted by users for over 12 years. With more than half a million users, in-house email support, and dozens of major industry awards, eWallet is your best – and safest – choice for your confidential information. 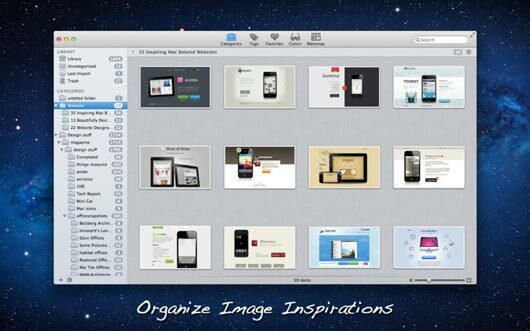 Sparkbox helps you to manage images for your design. 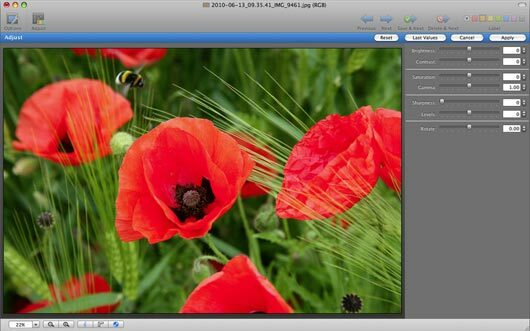 Unlike iPhoto, Sparkbox is designed to look after the images besides the picture or photograph you took. It is a neat and clean image library for your Mac; it is perfect for you to organize your image collection and make good use of your visual inspiration. QuickCal is the perfect companion for your calendar! Create events and reminders in speed of thought with natural language! Tap a hotkey or click the dock icon, and start typing! 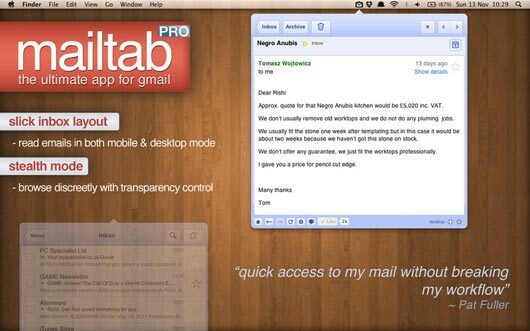 The best GMail client on your status bar! MailTab Pro for Gmail is an incredibly slick and gorgeous app for quickly accessing your Gmail account directly from your Mac’s menu bar. The key point of the app is efficiency: the interface is simple and unobtrusive, you drag your files onto the window and perform the action of your choice. 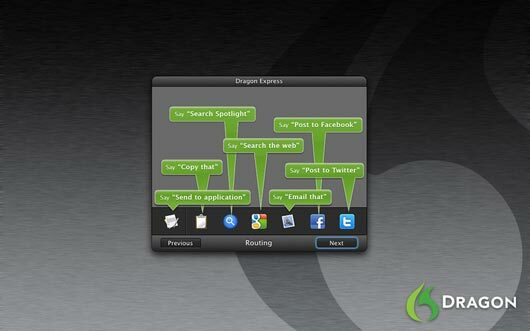 Once you start Dragon Express, its icon lives in your menu bar and Dragon waits for you to call on it for fast, accurate dictation to be transferred to your favorite applications. Once your text is transferred, the window will disappear and the icon will be ready in the menu bar for the next time you need it. It’s that easy! 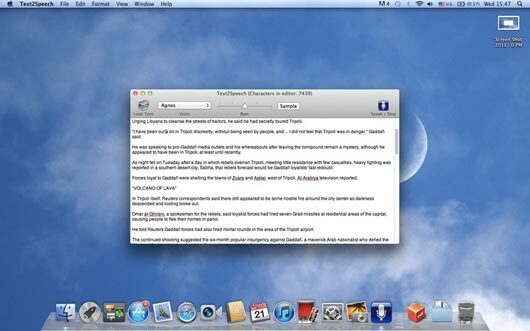 Dragon Express Is an easy and fun speech recognition utility that introduces OS 10 lien customers to voice-recognition for the Mac. 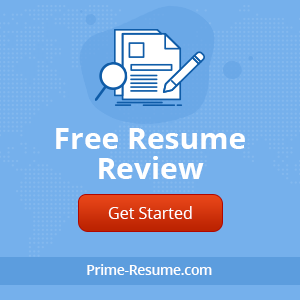 Put your words to work without the hassle of typing. Just speak and amazingly accurate results instantly appear in the Dragon Express window. You can dictate anything – even words that wouldn’t be found in any dictionary – since Dragon Express is customized to recognize your voice and the words you use. “If you find iWeb limiting, Dreamweaver intimidating, and hand coding impossible, give RapidWeaver a try” – Macworld Magazine. Whether you’re wanting to build stunning online photo-slideshows straight from your iPhoto library, a company website or your own blog, RapidWeaver lets you do it with a minimum of fuss. 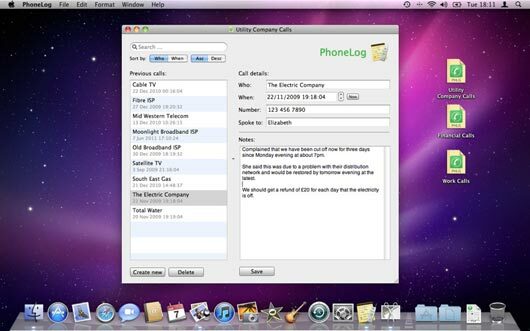 PhoneLog allows you to quickly store details about phone calls you have made – who you called, when you called and what was said on the call. Over 140 five-star ratings worldwide! 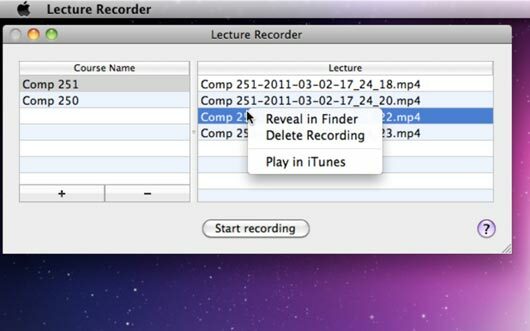 This is a fully functional lecture recorder that allows users to capture audio recordings of their courses in a format compatible with iTunes. 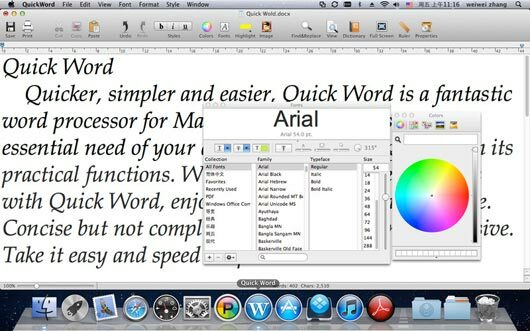 Quicker, simpler and easier, Quick Word is a fantastic word processor. Quick Word meets every essential need of your daily word processing task with its practical functions. 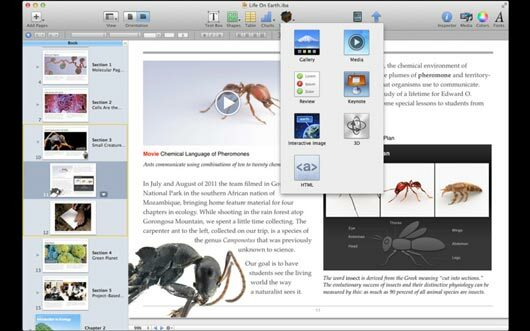 Write, edit and manage your files with Quick Word, enjoy the convenience and pleasure. Concise but not complicated, excellent but not expensive. Take it easy and speed it up! Need a diagram, process chart, quick page-layout, website wireframe or graphic design? 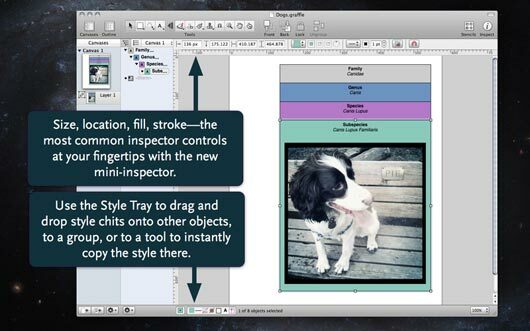 OmniGraffle can help you make eye-popping graphic documents quickly by keeping lines connected to shapes even when they’re moved, providing powerful styling tools, and magically organizing diagrams with just one click. 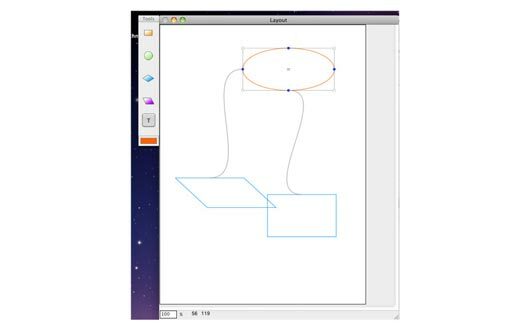 Whether you need a quick sketch or an epic technical figure, OmniGraffle keeps it gorgeously understandable. 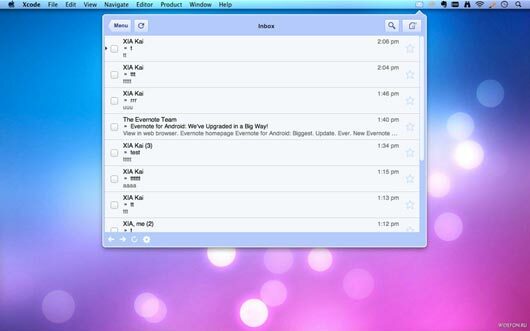 If you are a kind of person who wants to add notifications fast and easy, without filling a million of fields – SmallTask is the right app for you. GraphicConverter is the universal tool for browsing, enhancing and converting images and for creating catalogs for the Web or for printing. 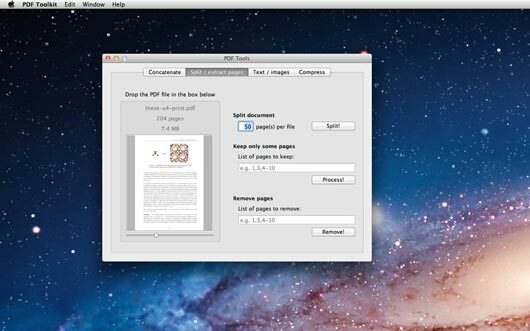 Simply drag a folder onto GraphicConverter to view your pictures. 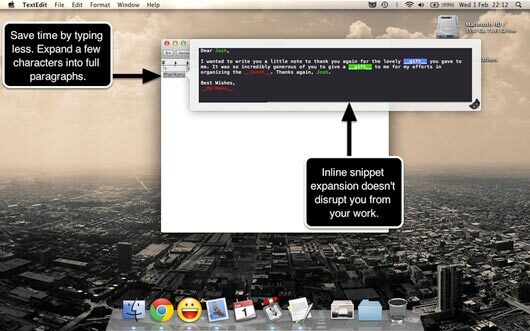 DashExpander is a Snippet Abbreviation expander. It saves you from typing countless keys for frequently used pieces of text. Abbreviation Expansion supports placeholders which can be edited before pasting, without disrupting your work. BreakTime is a simple Mac utility that’s designed to help you remember to take breaks away from your computer. It never forgets a break, running in your dock and / or menu bar (or even in the background). Spending hours in front of your Mac everyday isn’t healthy. A study from the American Cancer Society (http://pressroom.cancer.org/index.php?s=43&item=257) has linked extended periods of sitting with an increased risk of death. Unfortunately for many of us, quitting the computer isn’t an option. Wallet is the simplest and easiest way to keep track of and secure your most sensitive information. Think of Wallet as your own flexible, personal database, where you can store all of your web passwords, software license keys, credit card numbers, and more. Don’t limit yourself to just passwords – Wallet’s flexibility allows you to create custom groups to organize any kind of data you want. You can even attach files from your Mac to individual entries in Wallet. Amazing! 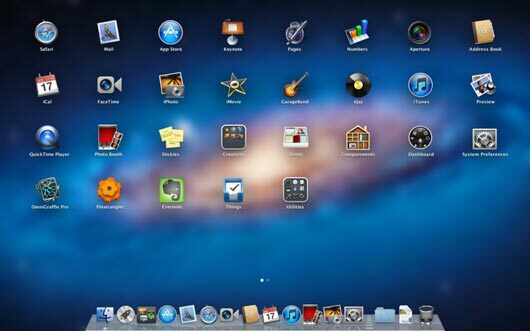 Its genuinely useful roundup, I have got much clear idea regarding these handy mac apps.